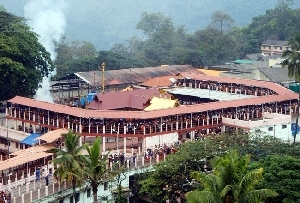 The Guruvayoor Temple dedicated to Lord Krishna is the most popular and most visited Hindu pilgrimage spot in Kerala. Only Hindus are allowed within the temple premises. This temple popularly known as Daakshin Dwarka , is rectangular in shape. The eastern Nada is the main entrance to the shrine. The Sri kovil (sanctum or the seat of the idol) is adorned with exquisite murals and paintings. The 33.5 m tall Dhwajastambham or flagstpost in the courtyard is gold plated. 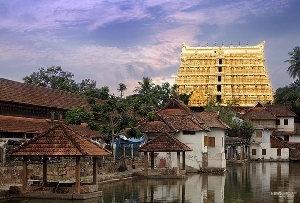 The extensive use of gold is characteristic of all temples in South India and Guruvayoor is not an exception. A 7m tall deepstambham or lamp stand has 13 receptacles and makes an awesome sight when lighted. The history of this temple is shrouded in mystery. 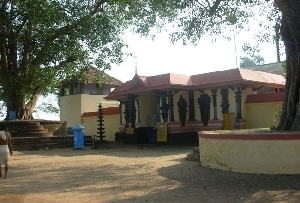 The temple is said to be 500 years old. 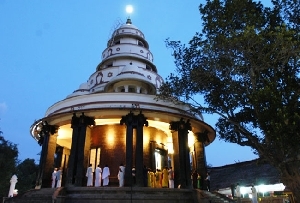 The legend goes that the temple was created by ' Brihaspati' the teacher of the gods and 'Vayu' the god who controls the winds after Lord Vishnu ascended the Vaikuntha. 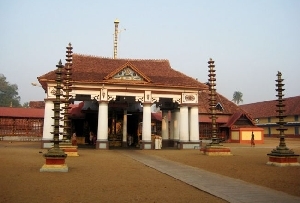 The Guruvayoor temple witnessed the Guruvayoor Satyagraha movement during the 1930's as retaliation to the discrimination against the lower castes regarding entry into temples. 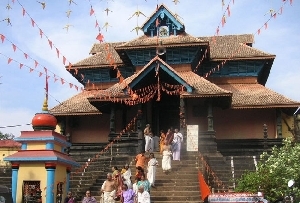 The Guruvayoor temple is the most commonly chosen site for marriages and rice feeding ceremonies (the first ritual meal given to an infant). Apart from that, the Poonthanam day, the Naraneeyam Day, the Kuchela Day are some of the festivals that are celebrated in the temple. 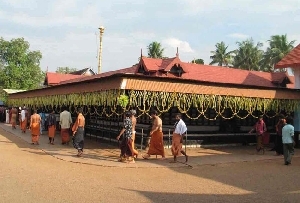 Guruvayoor is situated 29 km north east of Thrissur. 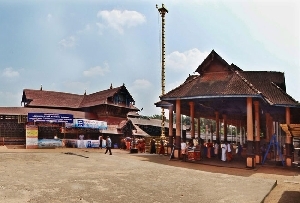 The nearest airport is at Nedumbassery(87 km). 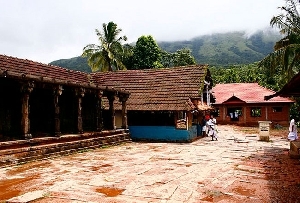 It is well connected by road to other places in Kerala.